Data Science being one of the most sought after jobs, it needs a lot of commitment; it is an everyday challenge for almost every data science professional to strike a perfect work-life balance. One needs to have an effective priority list and strategies. 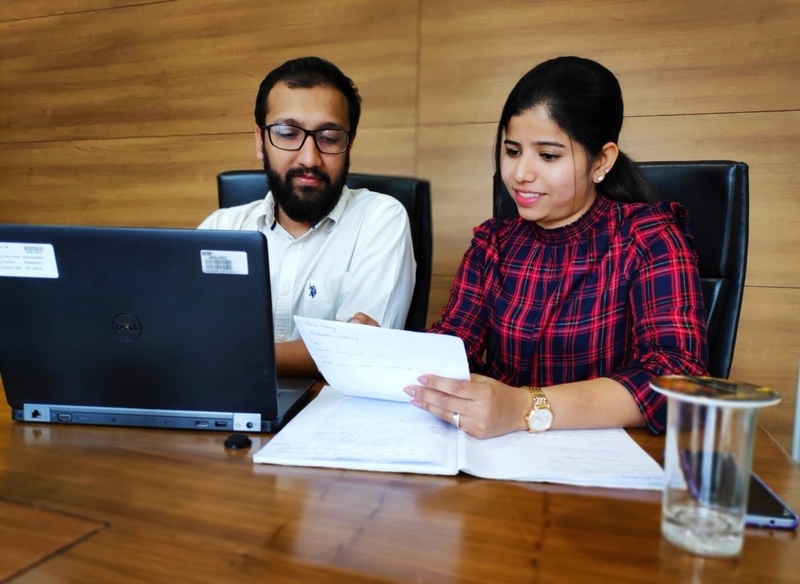 In order to understand more about the life of a data scientist, Analytics India Magazine caught up with Priya Francis and Anshul Bazaz, data scientists at CSS Corp.
Bazaz usual reaches office by 10 am and kick-starts his work by having discussions with his teammates and colleagues, where he exchanges ideas and update each other about work as well as current events. “Quite often these conversations result in suggestions which help me work better. Although the out-times vary on a day to day basis depending on the work,” said Anshul. Francis works on massive amounts of structured and unstructured data for discovering actionable insights to shape or meet specific business needs and goals. It involves data collection, data cleaning, exploratory data analysis for deriving patterns out of data, building, validating, implementing and maintaining suitable statistical models for business use cases. “CSS Corp’s work culture supports learning and development on the job. This gives me a great opportunity to work on challenging problems from scratch and provide innovative solutions that widen my horizon and enables me to learn the latest things,” said Priya. Bazaz, on the other hand, works on understanding the client requirements and designing efficient analytical as well as visual solutions to the problems. “Another aspect of my work is interacting with various teams like UX, operations, and data engineering teams to assist in solution design. I am also into coding – data cleaning, exploratory data analysis, and statistical/machine learning models,” said Anshul. He is also involved in mentoring the new teammates who join the team. “Since joining, my company has provided me immense opportunities to work in high impact projects that require not just effort, but significant knowledge about data science and machine learning concepts,” said Anshul. While we cruised through their lives as data scientists, the duo also told us about the projects they are working on at present. Francis is currently working on developing and implementing a robust system for the case prioritisation of an enterprise networking company. “By flagging cases at an early stage, the system results in faster resolution of customer tickets, thereby improving customer satisfaction,” she explained. She is also working on analyzing customer sentiments and top call drivers from the interaction data. Meanwhile, Bazaz is currently working on Adherence Impact Simulator, a research-oriented project centred around influenza vaccine uptake in various countries, and Key Phrase Extraction and Sentiment Analysis, which is about finding the leading cause of customer dissatisfaction/customer care delay by analyzing textual data consisting of conversations between customers and customer care. For every professional, managing a perfect work-life balance is one of the toughest things. They not only give their 100% to the company but also make sure that they are spending enough time on themselves and with the family. When asked how do they manage to juggle between their work and personal life, Priya said, “At CSS Corp, I have a fair work-life balance. Most meetings in the company are planned beforehand. So, we plan our schedule and prioritise tasks accordingly.” On weekends, Priya makes sure that she spends her time with her husband, catches up with their friends and tries out new restaurants. And if she doesn’t go out, she spends her time exploring her creative side by indulging in DIY crafts. In conversation with Anshul, we found out that he loves playing and learning Piano and music theory; he mostly occupies himself with it during his free time. “I am a night owl, so I spend my time on this after work,” Anshul added. Since quite some time, he has been spending most of his free time nurturing his hobbies. However, Anshul does take out enough time to unwind and catch up with friends during weekends, and I heartily do it. 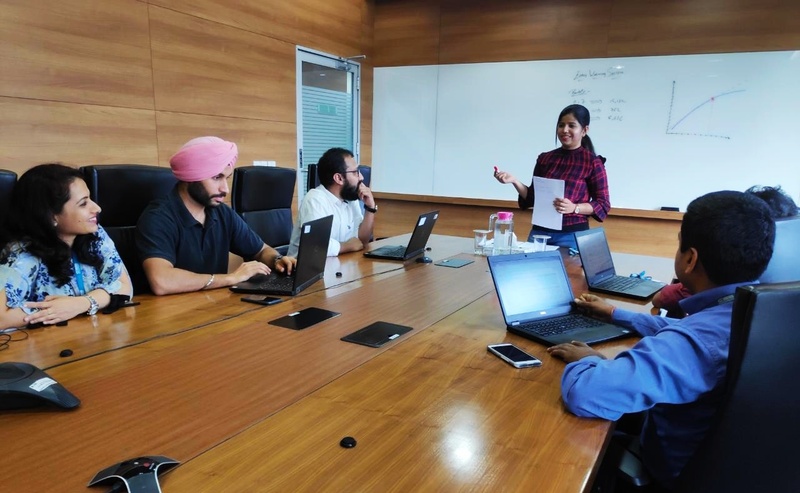 “After we grind for days analysing millions of records and iteratively developing models, finding that first big insight that answers or partly answers the problem by showing us a better picture of the situation, is the best part of my workday,” said Anshul. When asked about their future roadmap, Francis said, at present, her goal is to successfully productionise and deploy the work items assigned to her on schedule. However, in the long run, she wants to understand various domains and integrate that with my knowledge to create better solutions for business problems and cater to the needs of the company. Bazaz, on the other hand, is aiming to fill his knowledge gaps as well as expand his knowledge in terms of Data Science and Machine Learning concepts. “This is a fast-growing field and I want to keep myself at the forefront of it and hopefully learn as much as I can in the process,” he said. Looking into the future, he is looking to gather enough experience and knowledge to lead Data Science initiatives. He wants to be able to design and execute a complete engagement from start to end and develop innovative solutions that place my company as an expert provider of Data Science solutions.